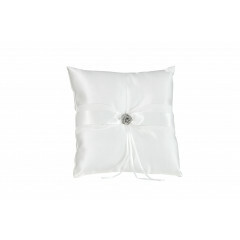 An added luxury on your wedding day, deliver the ultimate gem on a high quality ring pillow. With various gems and materials to choose from this really is a special touch. 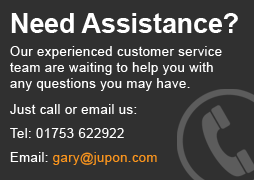 Click on any of the products below for more information. 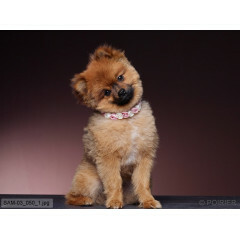 Get your pet involved on your special day with this beautiful ring pillow accessory. 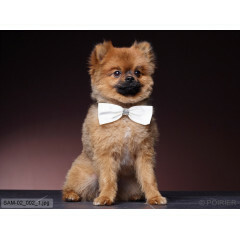 Your best friend can now be your ring bearer. 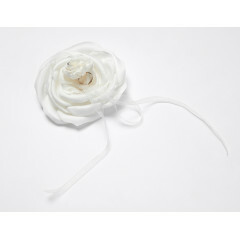 This item has a beautiful lace design with a ribbon finish. 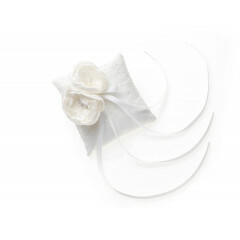 Available Colours: Ivory..
A lovely ring pillow for your pet to wear on your special day. This unique item features a lace pattern with a ribbon finish. Colours Available: Ivory / Blue. ..
A square shaped ring pillow, from Jupon. 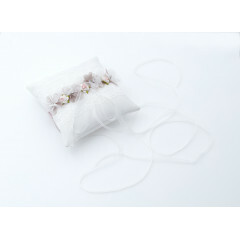 A beautiful row of flowers lay across the pillow with lace netting bows. Available in Ivory / Taupe. .. 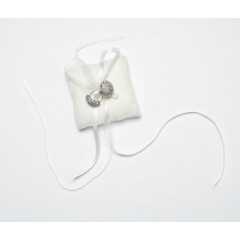 This square shaped Ring Pillow comes complete with a floral design as the centrepiece with Strass stones and Pearls. 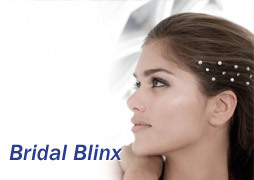 Available in Ivory / Gold and Ivory / Silver. ..
A gorgeous Jupon ring pillow with a wide lace bad across the middle. This item is finished off with a leaf pattern that feature pearls and Strass stones. Available in Ivory / Gold and Ivory / Silver. 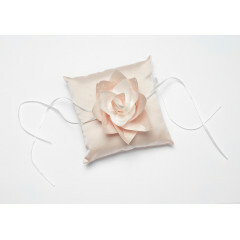 ..
A beautiful ring pillow from Jupon, featuring a pink rose as the centre piece. Available in Blush. ..
Jupon ring pillow in a flower shaped design. 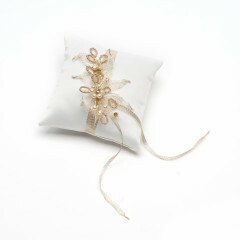 This ring pillow has a tiny silver pearl on the top and 2 lace ribbons. Available in Ivory. 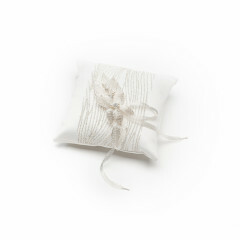 ..
A beautiful Jupon ring pillow, in a square shape, with sequins, pearls, and 2 long lace ribbons. Available in Ivory. 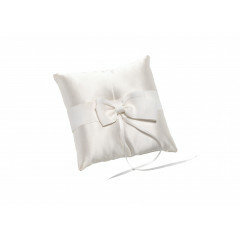 ..
A lovely Jupon ring pillow, in a square shape, with a lace overlay on the corners and a Rose with ribbons. Available in Ivory. ..
A square shaped ring pillow, from Jupon. 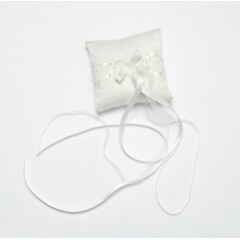 2 Long lace ribbons keep the ring securely in place. Available in Ivory. ..
A lovely silk bow with slippage. 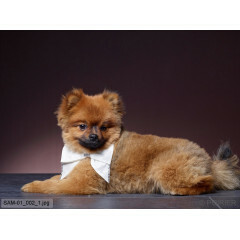 This bow is decorated with the finest Swarovski elements and has adjustable width for maximum comfort to your pet. Size: 12cm by 5cm Color: ivory .. 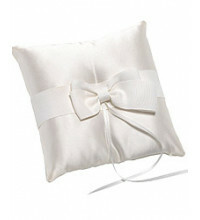 Plain, soft, ring pillow with a bow design. Available in Ivory. .. Plain, soft, ring pillow with a floral design. Available in Ivory. 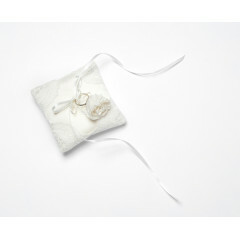 ..
Soft ring pillow with a white ribbon. Available in Ivory. ..